I spotted this sign in the bathroom of the bar where I saw this catastrophe a few weeks ago. 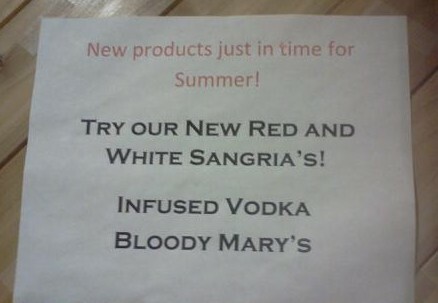 To even out the trifecta of errors, summer should not be capitalized. Sadly, it's time for them to come out with new drinks for fall. I wonder how long that sign has been up. I thought the names of the seasons were meant to be capitalised?